You can easily find out millions of blogs on the search engines which are started by different bloggers in blogosphere but only few of them are following some specific strategy and becoming brand able or successful blog. These days most of the people are interested in making money online and that’s main reason why thousands of new blogs are created on daily basis. These newbie bloggers are passionate about making money online but they don’t know how to become successful in this field. The first and important thing is that you should be passionate about the niche in which you are going to start your work and also you need to be keep patience. Becoming a rich blogger within a night is not possible. You have to do hard work and need to follow proper strategy. It is always a good idea to make a schedule for your blogging. I mean how many articles you will be going to write on daily basis or monthly basis and how much time you are going to spend online on your websites or blogs. If you are serious about earning money from your new blog, then you need to take it as business and follow proper strategy and do hard work for making money. Link building really matters a lot when it comes to search engine rankings of particular blog or website. You will need to make proper link building strategy, how you will be going to build up links or how much backlinks you can make on daily basis for your niche blog etc. 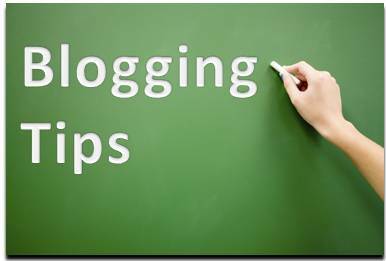 Find some relevant blogs according to your niche and leave comments on them and try to add value through your comment. It is always a good idea to interact with other bloggers from same niche through commenting and social media. Because not only this will help you in building up good relationship with those bloggers but with the passage of time, you will learn a lot of things from them as well. Always try to write unique and quality content. As unique content is loved by Google and quality content is considered as king so you should need to provide valuable information to your readers. This will surely help you in getting better search engine ranking. A good idea is that you should need write at least one guest post monthly on those blogs which are relevant to your niche. This will help you to get more exposure and quality backlinks from those blogs. Write content for your readers and if possible ask them for their opinions through comments section. It will help you to build readership and getting more comments as well. Try to make your blog design responsive and user friendly so it will be easier for your visitors and readers to navigate easily. So these are the important and useful blogging tips that newbie bloggers should need to follow. I hope you found this guide useful for you. If you have any queries or suggestions regard this guide, do let us know in the comments section.